Robotic laser metrology has many advantages for manufacturers in the aerospace, automotive, and heavy industrial industries. This relatively new technology aims to provide highly accurate inspections, much faster than other inspection methods, helping accelerate throughput and productivity. Robotic laser metrology combines the consistency and uptime of robotic automation with the accuracy and reliability of laser metrology technology. The result is a highly productive system that drives productivity in a number of ways when compared to other forms of inspection. When comparing robotic laser metrology with a more traditional form of inspection, like tactile probing, there are clear advantages to using laser metrology. Optical forms of scanning like laser metrology generate far more data in a short amount of time. They generate complex point clouds to quickly derive highly accurate 3D part geometries. Robotic tactile probing is slower and collects information on far fewer data points. Low sampling rates make tactile inspection data heavily sensitive to even minor imperfections in geometrical features. Robotic laser metrology is faster, more accurate, and measures more points on a part than traditional methods like tactile probing. The primary benefit of robotic laser metrology is it allows for in-process inspection of components. In the automotive industry, robotic laser metrology systems can be integrated inline and next-to-the-line for inspections that don’t disrupt the flow of production. In-process inspections reduce the extensive time needed for detailed inspection of all components. This helps eliminate the inspection bottleneck in a wide range of industries, allowing production to flow without being hindered by the speed of quality inspections. Robotic laser metrology is an innovative technology with numerous advantages over traditional inspection methods – primarily in the speed and accuracy of inspection. This technology plays a major role in eliminating inspection bottlenecks for manufacturers for higher productivity. 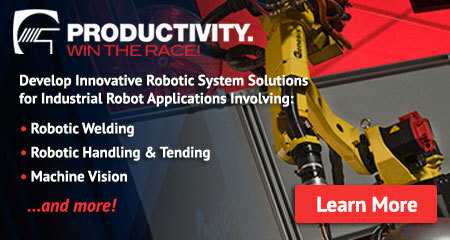 To learn more, read about robotic laser metrology integration solutions from Genesis Systems, an IPG Photonics Company.